Fiber-optic communication is a method of transmitting data by sending pulses of light through an optical fiber. These days, the majority of data communication involves a fiber-optic connection. However, other methods of transmitting data exist, including satellites. 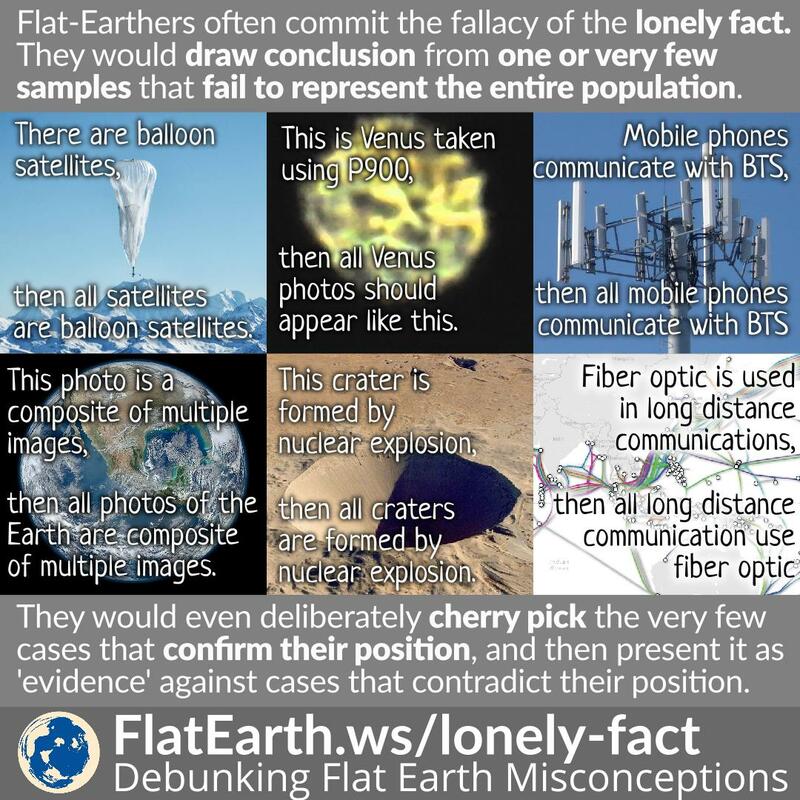 Flat-Earthers use the prominence of fiber-optic communication as “proof” of the nonexistence of satellites. Such a line of thinking is a fallacy of hasty generalization. Using the same “logic,” we can “prove” trains don’t exist just by showing the existence of cars. Flat-Earthers often commit the fallacy of ‘hasty generalization’. They would draw the conclusion from limited sample that fail to represent the entire population. Sometimes they would even draw the conclusion from a single case, and it becomes the fallacy of ‘lonely fact’. Furthermore, they would deliberately cherry-pick cases that support their position, and use those to disprove the other cases that are against their position.